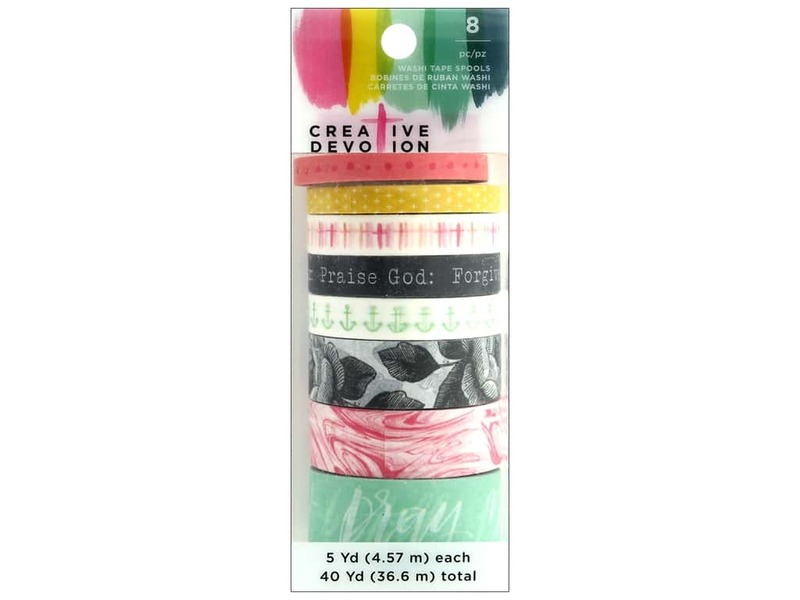 Description: American Crafts Collection Creative Devotion Washi Tape 1- 8 assorted styles, colors and widths of tape. Designs feature dots, anchors, flowers and marbling, with captions praise God, forgive me, pray, mercy and more. 5 yards per roll. See more American Crafts Creative Devotion Collection.